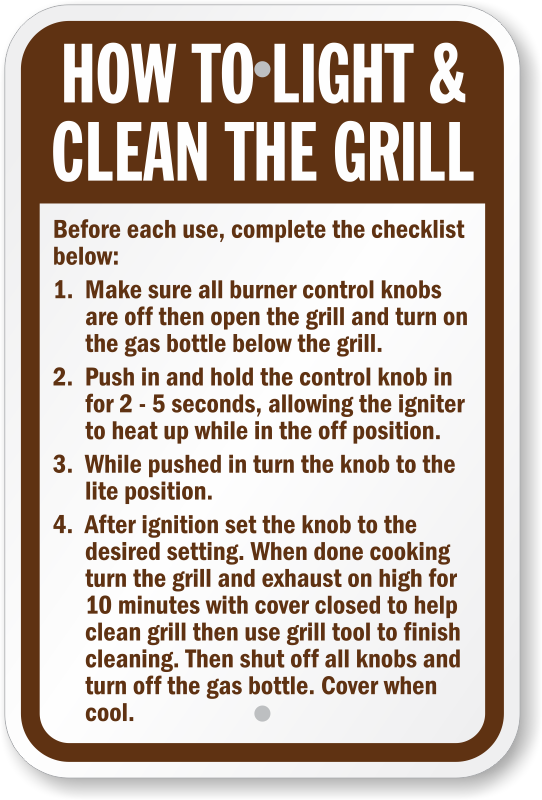 Even a grill master needs a clean workspace. 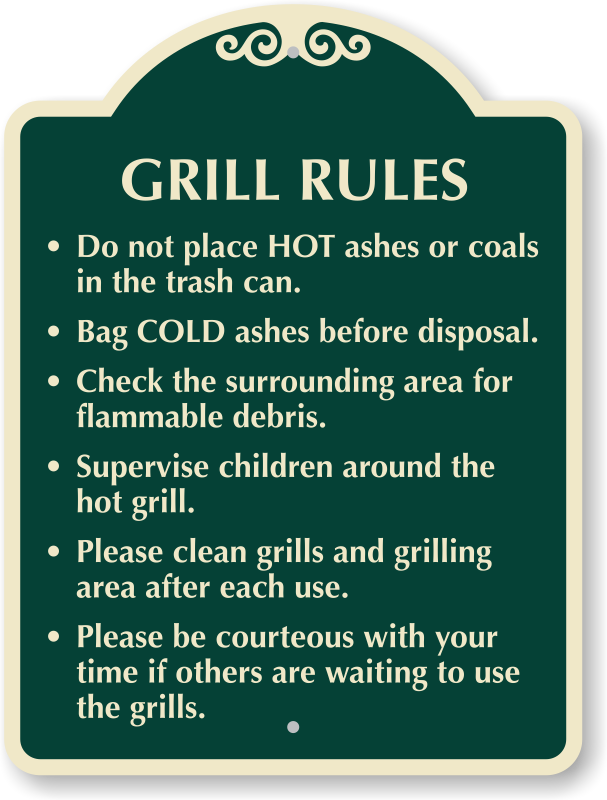 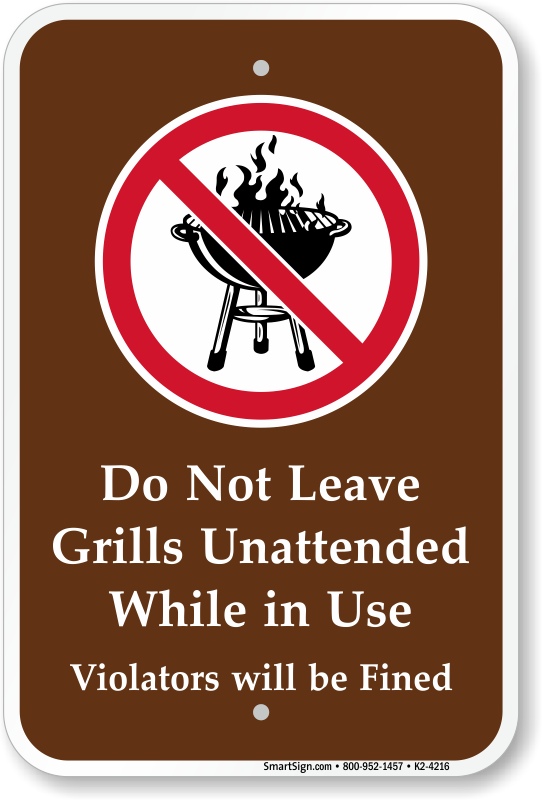 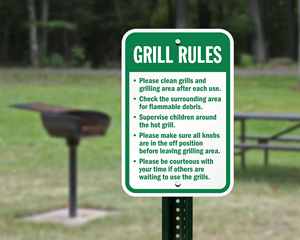 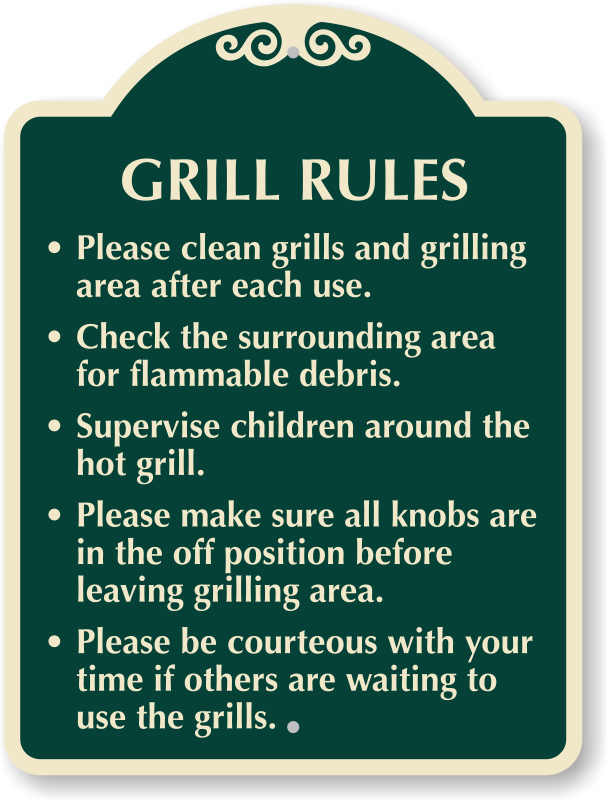 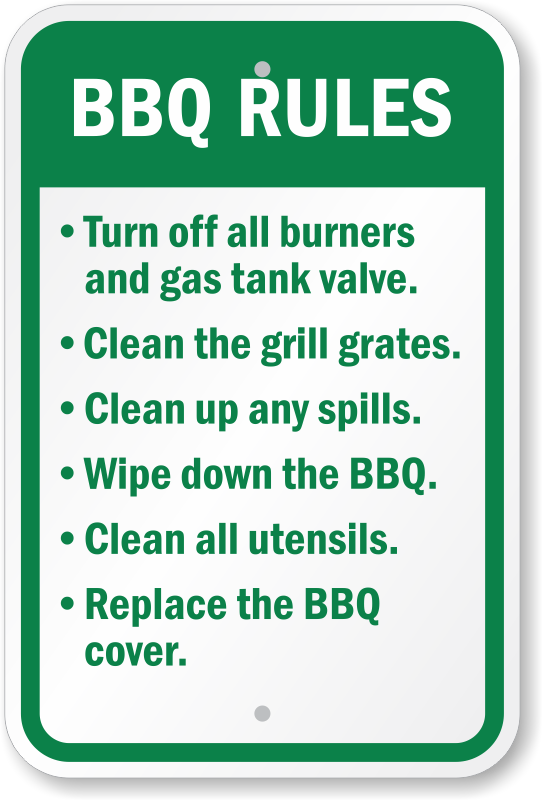 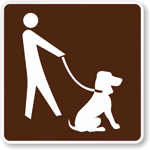 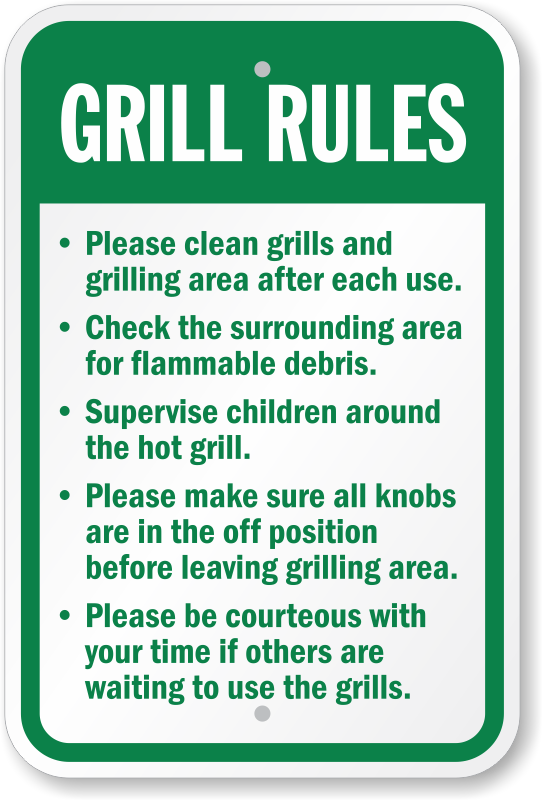 Our comprehensive Grill Rules Signs keep the surrounding area clean and ensure the safety of the campsite and full bellies foryour guests. 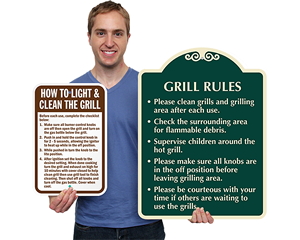 • Premium quality aluminum signs last for more than a decade. 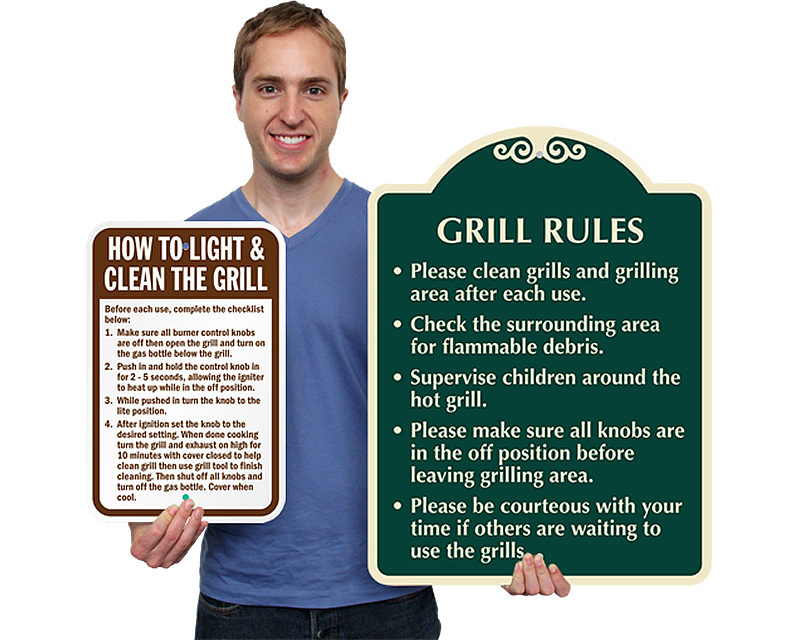 • Signs made of reflective materials offer high nighttime visibility. 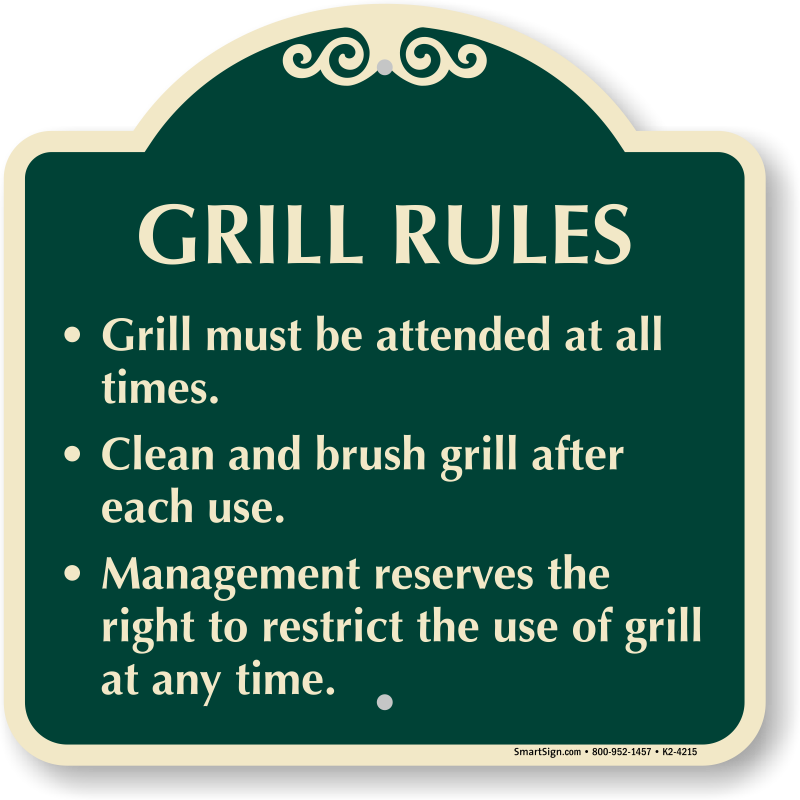 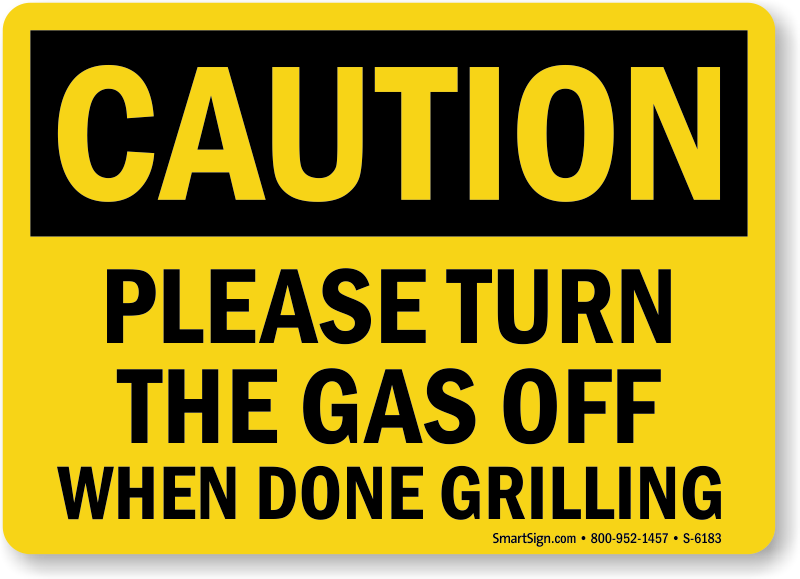 • Our Grill Rules Signs resist high heat, chemical spills, rough weather, abrasion, and fading. 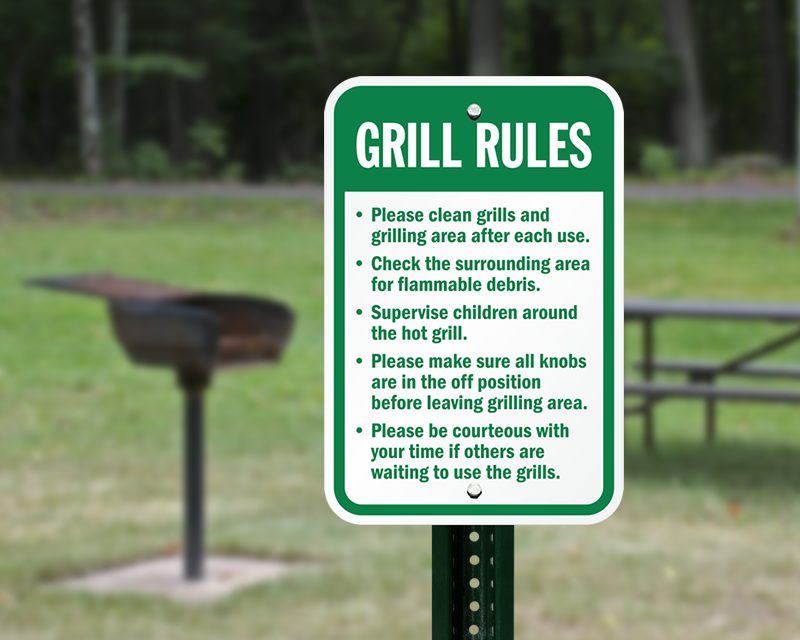 Communicate your campfire rules through our informative signs.